Advertising has been around for as long as there have been people to influence. 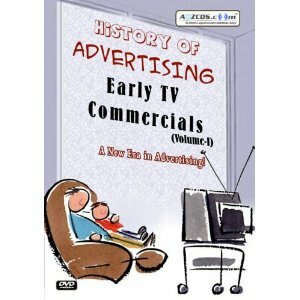 From ancient history to modern times, advertising has played a role in what people knew and chose to buy. Early advertising looked much different than the advertising of today, but its motivations were very much the same. Evidence of advertisement dates back to ancient civilizations. The Egyptians hung papyrus sales messages millennia ago, and evidence of political advertisements have been found in Pompeii. Rock painting was used across many civilizations to convey sales messages. The Middle Ages saw a shift in advertising strategy. As few people were able to read in this time, pictures and logos grew to prominence. Different services would advertise by displaying an associated symbol. Town criers were used by product sellers to alert and entice customers to stalls and wagons. The 18th century saw some of the first regulations in advertising. Because more and more people were able to read, newspapers became more common. With them came printed advertisements. Many of these ads were for books or medicines, but not all promoted themselves honestly. The issue of “quack” advertisements became so problematic that regulations were brought in to enforce what could and could not be said. The 19th century featured a growing economy and, likewise, a growing advertisement trade. While newspapers and magazines remained some of the most popular forms of advertising, businesses found they had more options in the type and quality of message they could relate. Some of the first advertising agencies started in the mid-19th century. At first all these agencies did was broker advertising space. This means that business owners were responsible for creating the content of their advertisements. As time went on their services diversified. By the late 1800’s agencies existed that would take on the job of planning, creating, and executing advertising campaigns for businesses. This century also housed a change in the way businesses marketed their goods. Beforehand, very few companies mass-marketed similar goods. The distinctive brands and logos that are so popular today simply did not exist. However, by the later portion of the century, changes in manufacturing methods allowed for more standardized goods and brands to exist. By the turn of the century, products like soap, cigarettes, and canned foods were advertised by brand. New forms of media available for advertising came into existence during the 20th century. The radio was the first. At first, radio stations were set up by the people who made and sold radios. They offered programs to encourage sales. However, businesses soon began to sponsor programs, paying to have their name mentioned at the beginning and end of shows. From there the system grew to where it is today – multiple businesses paying to have small time slots during different shows. Television advertising offered advertising in a similar way, but not without a fight. As radio and television first became popular, a battle raged over if they should be used for commercial or non-commercial uses. Different countries came up with different solutions – some providing public funding for television stations (like the BBC) while others allowing for a completely commercial system. The modern standard of several different companies advertising during a televised ‘commercial break’ has its origins in the 1950s. During this time, station owners were having difficulty finding buyers for large chunks of space. As a solution, they cut the time up into smaller chunks and showed several advertisements in each break. From papyrus and stone to today’s communication tools, advertising has a way of enduring. While its forms and methods may change with the times, the art of convincing people to buy is one that will last through the centuries. This article was contributed by AdSemble, a digital out of home advertising network.